Tis is a re-release at mid-price of John Rutter's Gramophone Award-winning 1984 recording of Faure's Requiem. The first-ever performance on disc of the work in its intimate original version - famously re-discovered by Rutter in the Bibliotheque Nationale in Paris after a century of neglect - it remains one of the timeless jewels in the crown of the Collegium catologue. 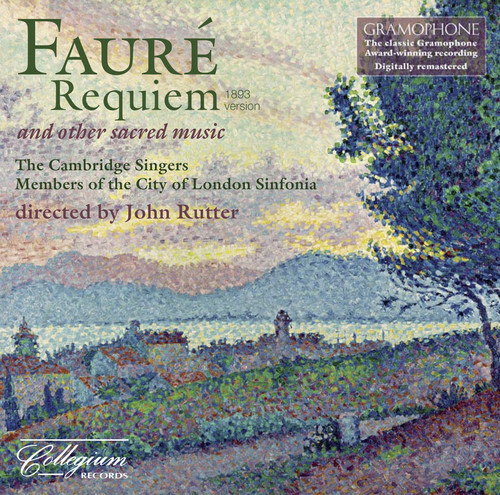 Hailed on release as 'the Faure Requiem of the future' (Music Week), Rutter's performance with the Cambridge Singers and members of the City of London Sinfonia has transformed the way in which we view one of the great works of European sacred music, and remains definitive.